In the 50’s, BMW was in a pickle. The war had left Germany’s citizens in bad economic shape, but they still needed to get around and BMW needed to sell cars. Their upscale cars weren’t exactly selling in record numbers so they decided to get into the microcar business. 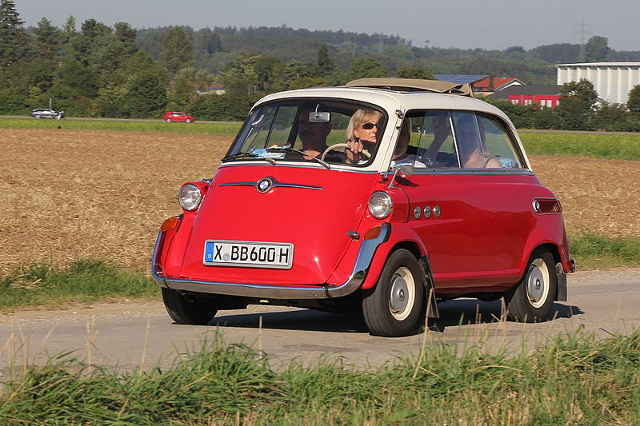 They bought a design from Isetta. Microcars solved a postwar dilemma, being able to drive a car on a motorcycle license (cheaper) and having less than onerous tax burden (also cheaper). Of course, they weren’t the most comfortable things in the world, but what are you going to do? 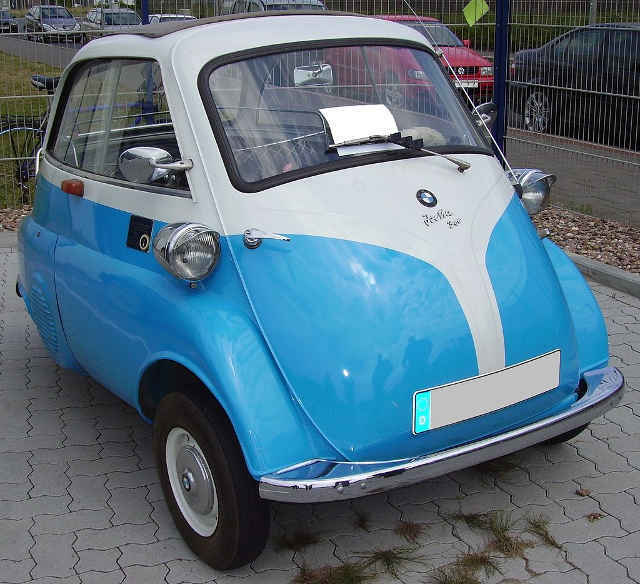 The BMW Isetta went through many changes, bigger motors, better suspension and even made a bigger one with a back seat that you could actually put adults in. 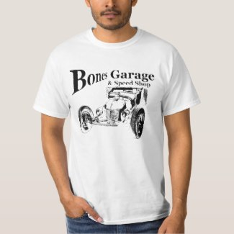 By the early 60’s, microcars had had their day. They just weren’t selling anymore, and the citizens of Germany were getting better off. 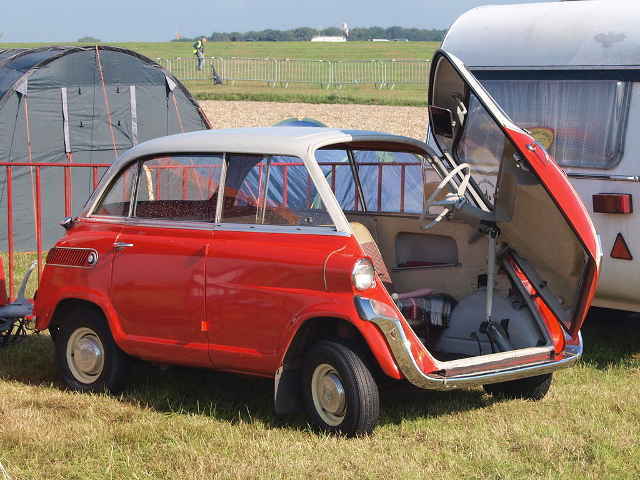 The last Isetta, the 600, still had a door in the front of the car, but this last version almost looked like a real car, with 4 normally spaced wheels and a side door. (I did like the idea of being able to get out of the car after a frontal crash by exiting through the side door rather than the roof…). The rear suspension was more modern, semi trailing arms for independent suspension. 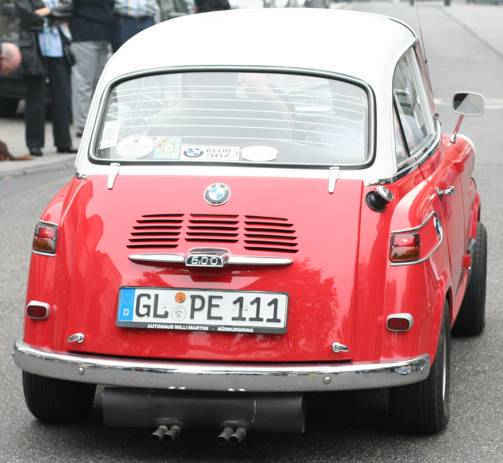 But this caused more problems, although not with the Isetta. It didn’t have enough power to get into trouble, but later versions of BMW’s did. This problem was more prominent in Porsches, but lifting off the throttle in a corner would bring the tail out in an alarming way. This problem wasn’t solved by BMW until the late nineties, when they went to multilink rear suspensions. However every cloud has a silver lining they say. The drifting community was born, seeing this awkward handling as a good thing. It is said that Kunimitsu Takahashi himself had put a Honda motorcycle 750cc engine in a BMW 600. The performance was more than the 600 could bear and it spent most of it’s life going sideways. And like they say, the rest is history….